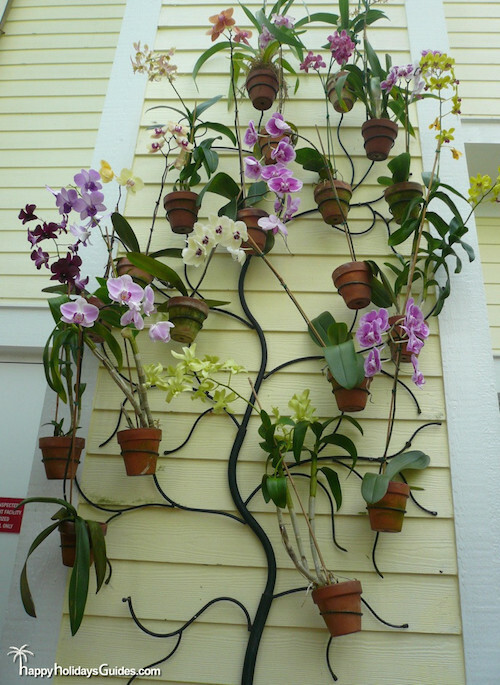 Key West Butterfly and Nature Conservatory - The Plants! 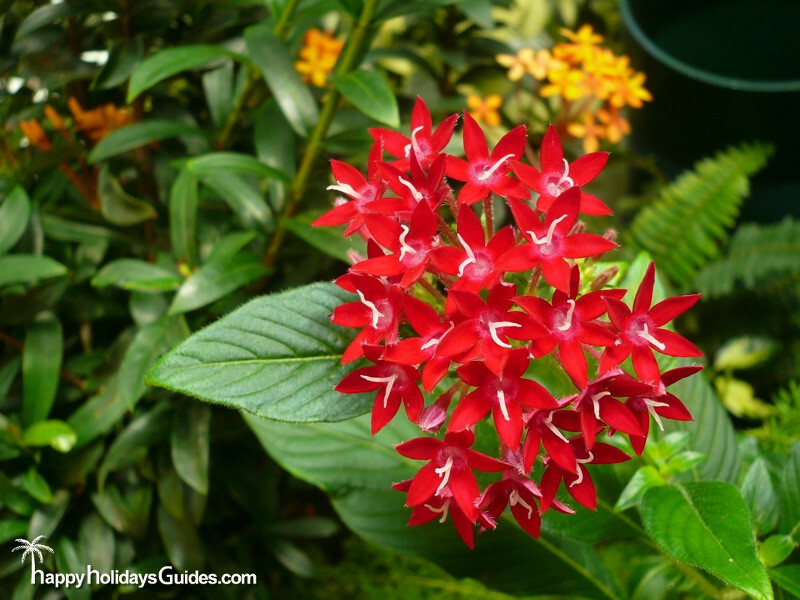 Home Destinations Key West Butterfly and Nature Conservatory – Plants! 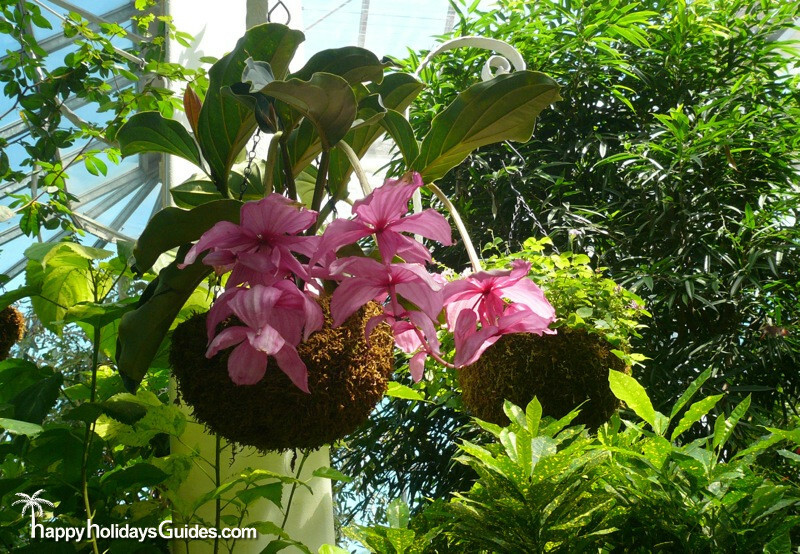 Key West Butterfly and Nature Conservatory – Plants! Yeah, it’s like this. 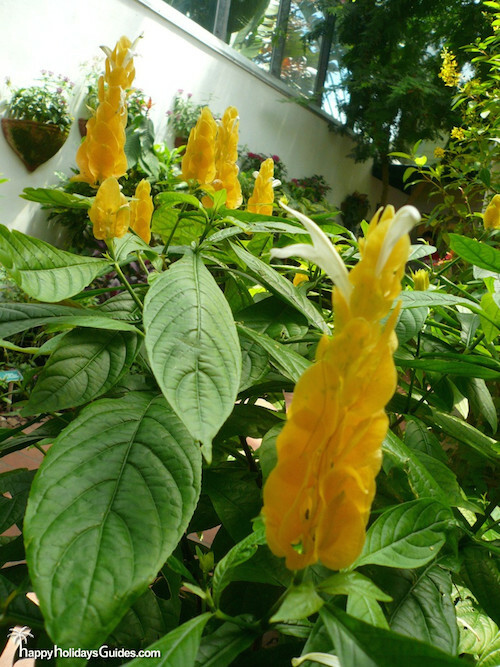 A little oasis of flora and fauna carefully constructed in a self-contained environment. 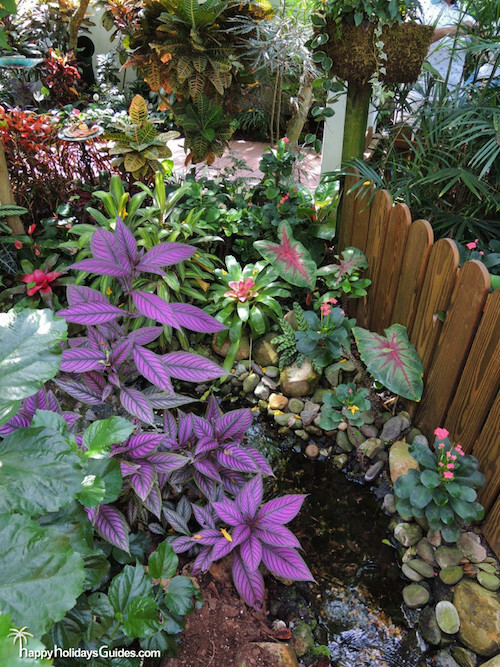 Here we see purple coleus, caladium and croton among others. The stream runs throughout the space. 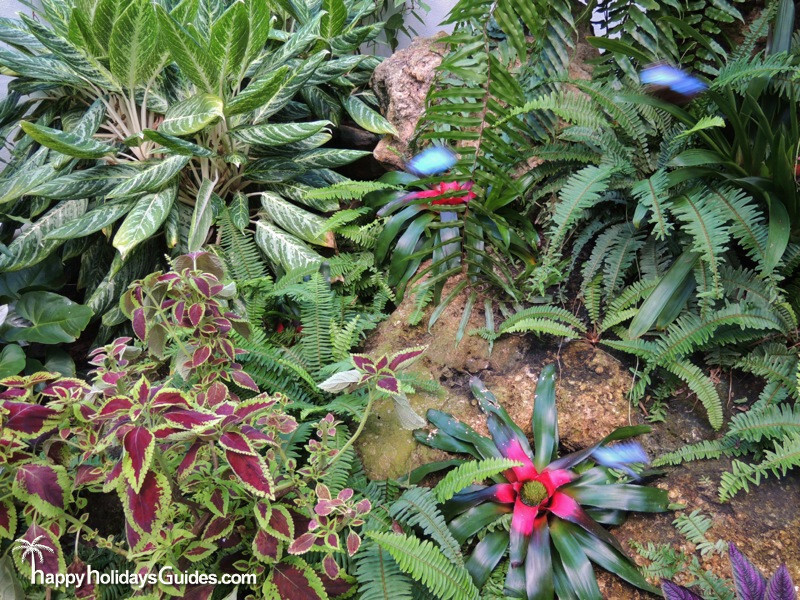 Those are blue morphos in flight among the canopy of ferns. We had to include this shot looking above just so you can see that the greenery extends upward. It’s not just all green, you know. 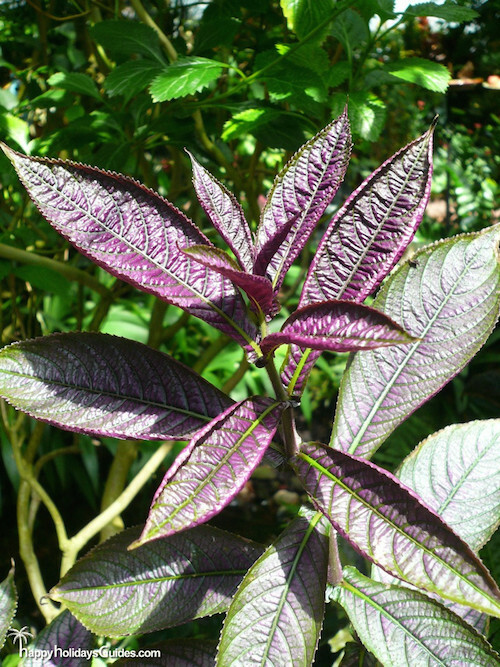 The scenery is punctuated with bright species like this. 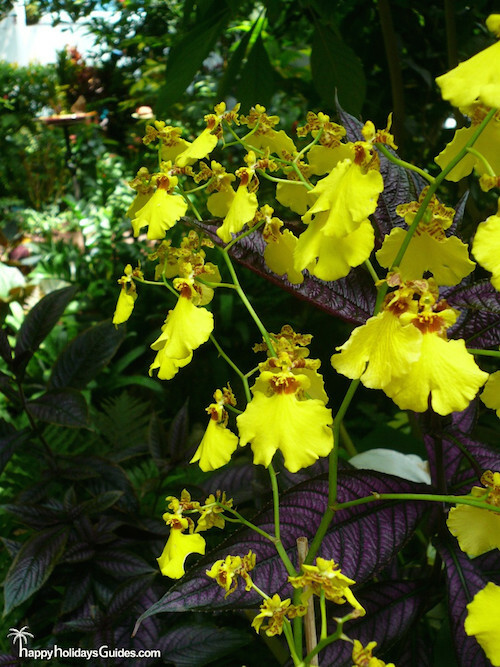 The closer you get to these yellow orchids, the more details you discover. 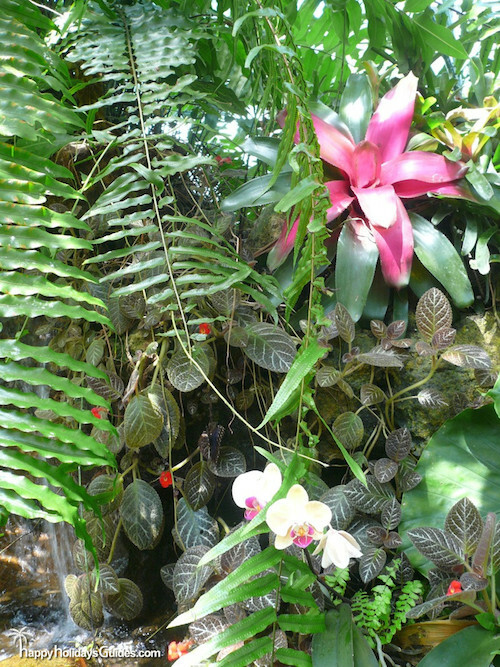 Framed by natural plants is this showcase of some of the Conservatory superstars. 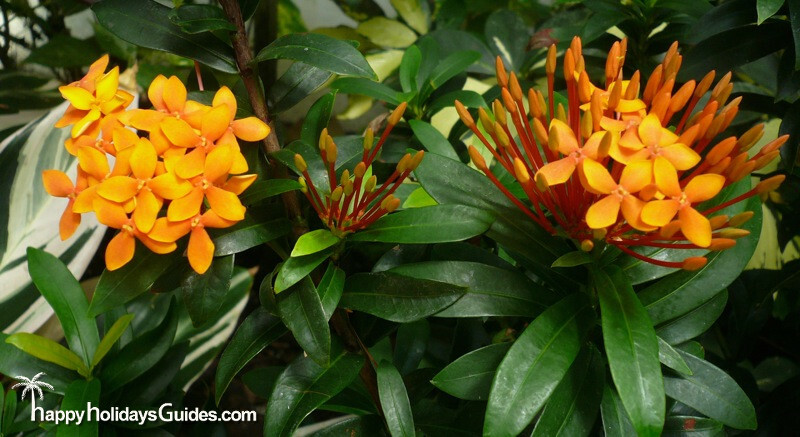 We hope you enjoyed these scenes from an enchanted little biodome called the Key West Butterfly and Nature Conservatory. If you’d like to see more photos, check our our Butterflies Photo Essay and/or the Other Critters collection of snaps. 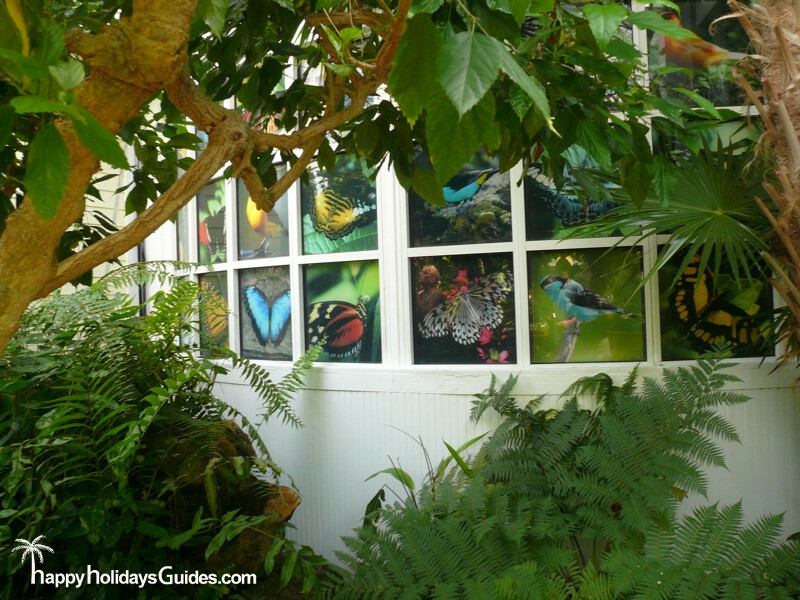 Key West Butterfly and Nature Conservatory : Other Critters!